Mary Noel Streatfeild -- pronounced STRET-field -- was born into a family of Anglican clergy. Her father was a curate to his own father, the Rector of Frant, before becoming a vicar, and later Bishop of Lewes. After leaving school, she worked for 10 years as an actress and toured the UK and the world, experience that provided the basis for many of her popular books for children. During both World War I and World War II, she did voluntary work and produced works and gave lectures to support the war effort. Her first published book was The Whicharts (1931) and her first book for children was Ballet Shoes (1936) -- it was an immediate bestseller. She wrote a total of 38 books for children (many of which were published under different titles in the USA), but she also wrote wrote novels for adults, nonfiction, biographies, plays, and radio shows. She also wrote three semi-autobiographical novels: A Vicarage Family, Away from the Vicarage, and Beyond the Vicarage. She was appointed an Officer of the Order of the British Empire in 1983. She was elected to membership in PEN in 1932. 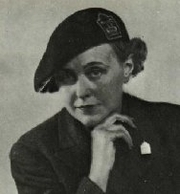 Noel Streatfeild is currently considered a "single author." If one or more works are by a distinct, homonymous authors, go ahead and split the author. Noel Streatfeild is composed of 12 names. You can examine and separate out names.